4 bedroom ranch, updated 1.5 bathrooms, comfortable beds. 2 car garage. I'm a local real estate broker, attorney and landlord. I love the outdoors and all kinds of music. This property is very well maintained, comfortable, attractive, and has everything you'll need. Close to great shopping districts (Royal Oak, Ferndale, Grosse Pointe, Detroit) Beautiful well kept neighborhood. Lots of original art work throughout. Great place for a handicapped person or someone recovering who can't handle stairs. Everything on one level. Only one rug, which can be rolled up upon request. Ann was so accommodating despite our last minute reservations. Location was great for us and the house was clean. We enjoyed our 3 days here. Experience couldn’t have been better! Ann thought of everything we'd need, all the necessities plus extra touches like chocolate on the beds! The property was great, more than we expected. The whole stay was great and easy. We couldn't of asked for a better experience. Convenient location..nicely stocked and supplied! We enjoyed our stay very much! Plenty of room for our whole family with 4 bedrooms and a spacious basement area for the kids to get out some energy! Ann fully stocked the home with supplies and was very responsive with the few questions we had during our stay. This location is sooooo convenient! 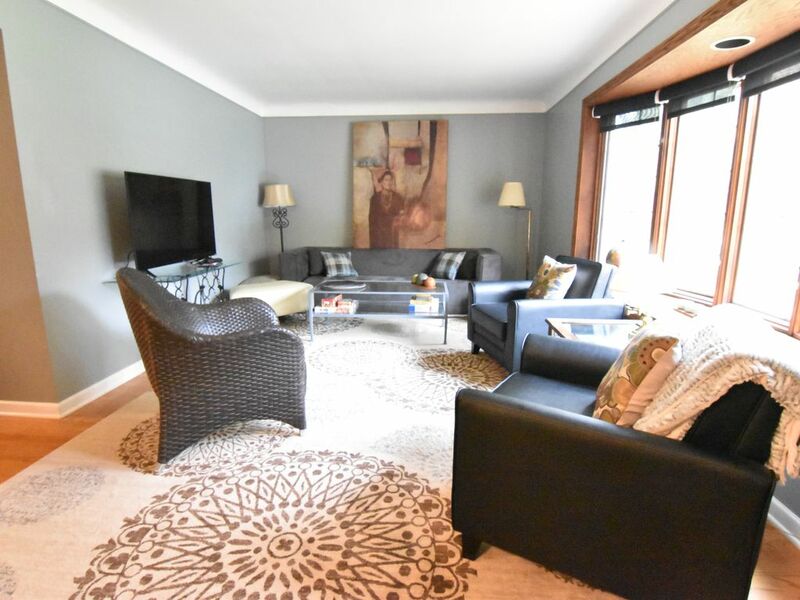 Close to shopping, restaurants and only a short trip to the Downtown Detroit area! We will definitely use this property again when we visit family in the area! Thanks Barbra. You were wonderful guests! Glad the house worked for you! Our extended family met in the Grosse Pointe area and this house was shared by my immediate family (from 3 states) for the weekend. We were within a 15 minute drive to everything. It had everything we needed. Comfortable beds, WiFi & smart TV. A fully stocked kitchen with a coffee pot, plenty of dishes, cooking utensils, blender, etc. Games, puzzles, all the linens you would need and dish soap, hand soap, paper towels and toilet paper. Next time we are in the area and looking for a place to stay we WOULD DEFINITELY CHOOSE this home again. Thanks for a relaxed weekend!